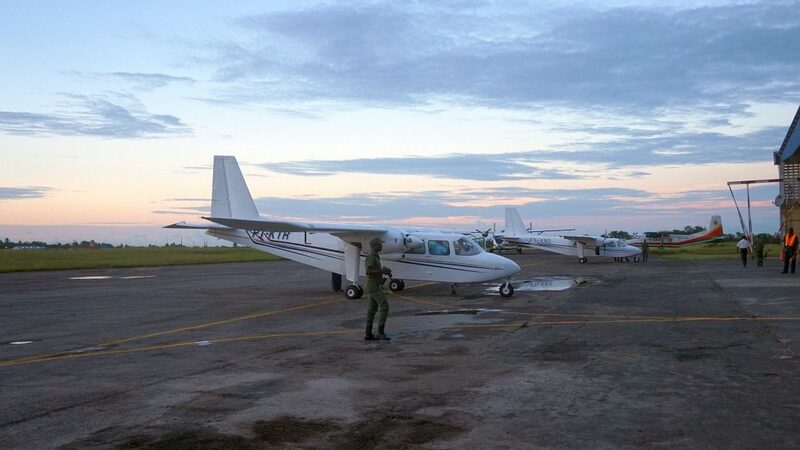 Two of the four aircraft that the Guyana Defence Force (GDF) has purchased arrived late Wednesday at the Cheddi Jagan International Airport (CJIA), according to well-placed sources. The decades-old Britten-Norman Islander planes were flown from neighbouring Brazil, ending speculation in some quarters that the deal had ran into some hurdles. Up to recently, they had been operated by a Brazilian charter company, Aero Star Táxi Aéreo, but it was not immediately clear whether they had changed ownership before the GDF purchased them. They bear registration markings PT-KRO and PT-KTR. Minister of State, Joseph Harmon recently confirmed that former GDF officer, Andre Budhan had played a role in the acquisition process of the Islanders. Budhan and a number of officers from the GDF Air Corps had flown to Brazil aboard a Trans Guyana aircraft to inspect the Islanders. Miguel Benjamin , George Glen, Andre Budhan and Olubumi Joseph going to inspect the Britten-Norman Islanders in Brazil in May, 2018. Budhan was a co-founder of Platinum Jet that had operated a Challenger CL-600 twin-engine jet that crashed at Teterboro Airport on Feb. 2, 2005. Budhan escaped imprisonment in a plea bargain deal, but his colleague Michael Brassington had been jailed for several aviation offences before he returned to Guyana. 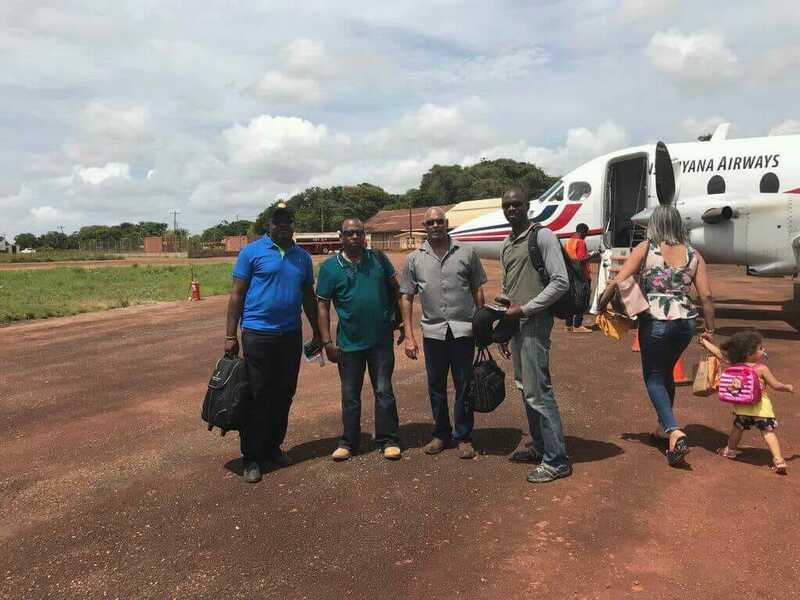 Several months ago, Brassington had testified as an expert witness in Lethem at a Commission of Inquiry into the discovery of a plane in the Rupununi region. The GDF is also expected to acquire two SkyVan planes by year-end to also assist with haulage of troops and supplies to remote interior locations for emergency response and security services personnel located in those areas. Supplementary funding of GY$484, 239, 000 was sought from the National Assembly for the purchase of the four fixed-wing aircraft. Some GY$213, 885,000 from the GDF’s 2018 capital programme was utilised to meet the initial payments for the aircraft. Although the planes are decades old, the Guyana government has defended the purchases, saying that the GDF has good experience with the Islanders and Skyvans over the decades. Harmon has assured that spares are still being supplied for those types of planes.